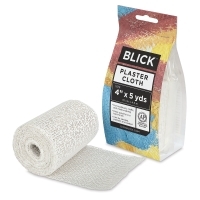 Blick's own plaster cloth rolls of pre-shrunk cotton gauze fabric are impregnated with Plaster of Paris. They're simple to use; just cut and dip strips of plaster cloth in warm water. 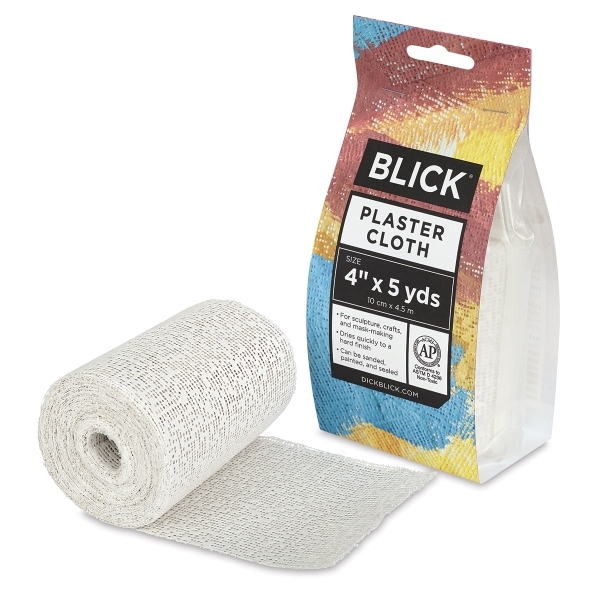 When dry, Blick Plaster Cloth can be sanded, painted, and sealed.